There’s nothing like a pour over coffee maker to get that beautiful aroma of freshly brewed coffee in your home. And of course the coffee tastes amazing – so much better than instant coffee. There are hundreds of pour over coffee makers available now and choosing which one is the best for you and your family can be a hard task. With so much information available and the sheer volume of options, it can be easy to just give up and buy the first one you see. This can lead to disappointment when you realise it really wasn’t the best machine for you. We’ve spent months researching pour over coffee makers so that you don’t have to. Below you will find reviews of our picks for the best nine pour over coffee makers to buy in 2018 plus a buyer’s guide to help you make the right choice for you. Before we delve right into the reviews, let’s first take a look at the table below. You will see a quick reference guide highlighting some of the main considerations people make when choosing a new pour over coffee machine. This will help you narrow down your search before diving into the reviews! Below you will find more in depth reviews of each of the models listed in the table so you can have a fuller understanding of each machine. By using the comparison table, you will already have an idea of the range of machines that have caught your attention and this section aims to narrow that short list down even further. Very hands on brewing allowing you, the user, to control brewing time and temperature. It comes in a choice of ceramic, glass, plastic and metal and a full range of colours so you’re guaranteed to find a design that suits your tastes and décor. Priced under $20, it’s also good value for money. The Hario V60 is ideal for users who have brewed their own coffee before and know how to get their perfect taste using grind, flow and temperature or are willing to learn. The Wave series from Kalita is the premier coffee dripper available on the market. The Kalita Wave features a unique design that involves a combination of a flat bottomed bed for your coffee and a wave design down the filter. It also has a three hole dripping system. Combined together, these three components work together to provide the perfect brewing conditions. You don’t have to really know what you’re doing to get a good cup of coffee from this dripper. Simply grind your coffee and pop it in and the well designed dripper does the rest! This model is available in stainless steel, glass and ceramic variations so you will be able to choose your preferred medium. Coming in at just over $20, it’s not the cheapest model but it does give out a great tasting cup of coffee every time and it’s so easy to use that even the most beginner barista will have no trouble with it. The Kalita Wave is perfect for beginners and experts alike. You don’t need to have any experience with making coffee to get a great tasting cup every time with this design. The Bodum pour over offers excellent, rich taste and robust aroma while maintaining the natural oils of the ground coffee. The Bodum Pour Over coffee maker is a multi serve dripper that serves up 34oz per pot (the average cup is around 50z). This is great as once you set it away, you don’t have to keep thinking about grinding more coffee each time you want a cup. It’s really easy to use. Simply add your coffee, pour a little water in a circular motion to ensure all of the grounds get soaked and then add the rest of the water. Within just four minutes, your coffee will be brewed and ready to drink. The built in filter ensures that no essential oils are removed from your coffee grounds giving you the full, intense flavour of your coffee. Retailing at under $20, this coffee dripper is already a bargain, and when you add in the fact that you don’t need to buy papers, you can see why it’s a winner! The Bodum Pour Over is great for anyone who wants to make a batch of coffee without having to spend a fortune on a larger pour over dripper. 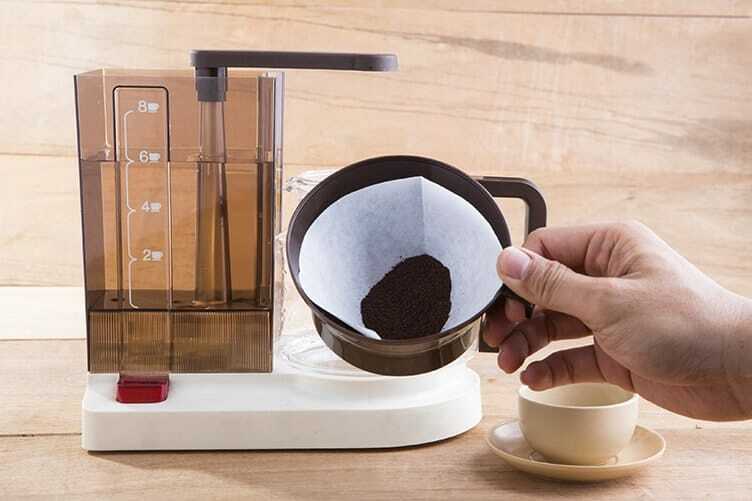 Bartelli pour over coffee filter cone is of true luxury quality and engineered to give you a perfectly brewed cup of coffee with each and every use. The Bartelli Paperless obviously doesn’t require paper filters making sure you don’t lose any of your flavour and saving you money on buying paper filters. The small holes in the filter ensure that no grounds drop into your cup, regardless of how fine you like to ground your coffee beans. The dripper is made to fit most cups and it will even fit most carafes, which means that even though this is technically a single serve dripper you can make more than one cup at a time. You will need to re-add coffee for each cup though so it really is best used for one or two cups at a time. The Bartelli Paperless is ideal for anyone who doesn’t mind spending the extra to get a good quality product that lasts. It doesn’t make the coffee taste any better than other paperless drippers but it does last well. Osaka carefully design each of their products to give you the ultimate coffee experience. Every one of their products is sleek and attractive to display and will perform better than anything else. The Osaka is a great product. It holds up to six cups of coffee in the glass carafe which is thermal to keep your coffee warm for longer (generally around two hours). The jug won’t leave any nasty taste in your coffee and it is both dishwasher and microwave safe (although let’s be real here – if you want good tasting coffee, you don’t zap it in a microwave!). The carafe comes with a heat resistant collar which is a great idea as it means you can hold the carafe straight away and pour a coffee while it’s still piping hot without juggling with tea towels! This machine retails at around $50. Although pricey, it does make a good cup of coffee and the convenience of making multiple cups at one time and the heat resistant collar make it worth the extra money. The glass carafe is a little flimsy and can crack quite easily if knocked. The Osaka is good for anyone who doesn’t mind spending a bit of extra money to get a great tasting coffee. It’s particularly good for larger families who prefer to brew a pot of coffee rather than a single serve cup. The Melitta 64007B single cup coffee filter cone is not glamorous but it is the easiest, cleanest and most economical way we know to brew a phenomenal cup of coffee at home. Really what the brand themselves say about the Melitta coffee brewer says it all. This no frills pour over coffee maker isn’t much to look at, but really, who cares? It makes great tasting coffee and it’s quick and easy to use. It’s also dishwasher safe. You do need to buy papers for this one, but when it retails for less than $6, it’s going to take a while before buying the filters even comes close to the initial layout for a permanent filter machine. Cheaper than some coffee shops charge for one cup of coffee! The Melitta coffee brewer is ideal for anyone who puts good value above aesthetics. 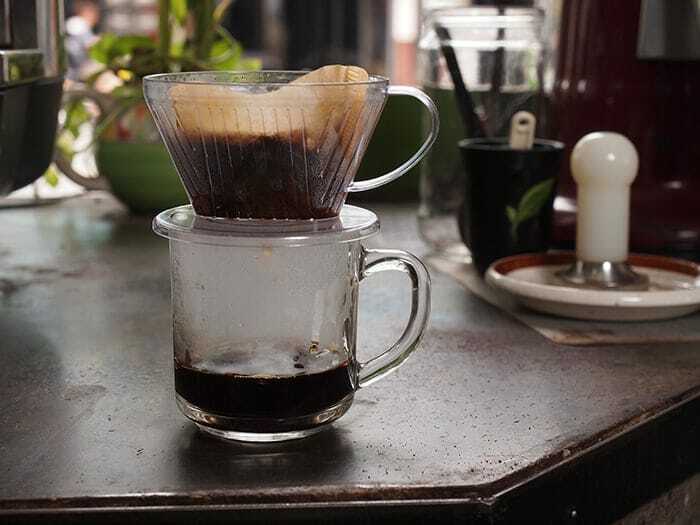 This pour over brewer might not look much, but it makes great coffee and that’s surely the most important consideration. It’s the perfect product for anyone on a budget. It’ll feel like you’ve treated yourself without any of the guilt! The Tanors Ceramic Coffee Cone Dripper allows you to maintain complete control of your pour over brewing experience making your delicious cup of coffee an art form. The ceramic used to make the Tanors coffee dripper absorbs the heat allowing for an even brewing process but the handle remains cool ensuring you can touch the dripper and remove it when you’re ready to. The dripper is made at a unique angle which promotes an even flow of water ensuring you get an even, full brew. The large extraction hole allows you to control the speed of brew which gives you full control over the taste and strength of your coffee. Although in theory it’s easy enough to use, it is aimed more at people who have used these types of machines before and have a good idea of how the grind of your coffee affects the brewing process and the taste. The fast extraction will ensure you get the full taste of your coffee, but that same extraction also will show any flaws in the coffee, so you should only really buy this machine if you are willing to pay extra to get a high premium coffee bean. The Tanors coffee dripper is a great bargain buy for anyone who understands the brewing process and uses a premium roast coffee bean. If you are not confident in how to brew a good cup of coffee, this one might not be the best choice for you. Known as a pristine coffee maker, Chemex employs all of the chemically correct methods for brewing.Known as a pristine coffee maker, Chemex employs all of the chemically correct methods for brewing. Its hour glass shaped flask is made entirely of glass, a chemically inert material that does not absorb odours or chemical residues. The Chemex Glass Coffee Maker has no moving parts and will work forever unless it is dropped or in some other way demolished. Of course you can’t think coffee without thinking of Chemex. We tested several of their models and we chose this one to feature as it really is the best Chemex coffee maker available. It’s not cheap, retailing at around the $50 mark, but for a pretty much indestructible product (unless of course you drop it) it’s a bargain really. The glass jug features a wooden collar to prevent you from getting burned while pouring your coffee. The wooden collar easily attaches and comes off for cleaning purposes using a leather tie strap. This machine is ideal for anyone who sees their coffee machine as an investment. If your budget allows for this machine, you won’t go wrong at all. At Primula they create items by exploring how people prepare beverages in different cultures and work to understand the experience and ritual behind these preparations. The Primula Coffee Brew Buddy is nifty little filter that will sit in most cups or mugs. So easy to use, you simply add your coffee, and pour your water through it. It can be used to make any strength of coffee simply by adding the amount of beans you desire. Once you hit your desired strengths, simply lift the filter out of the cup. Designed with travel in mind, the Primula Coffee Brew Buddy is small and compact and perfectly easy to carry around when travelling. It barely takes up any room and its really lightweight. And of course, you don’t need filter papers so it’s one less thing to carry around or source at your destination. The dripper makes good enough coffee to use as your primary coffee dripper, but for the cheap price (it retails at under $20) it is also cheap enough to use simply when you are travelling. The Primula Coffee Brew Buddy is ideal for anyone who travels a lot and wants the home comforts of a good cup of coffee made easy without having to lug a larger machine around everywhere. Below you will find some tips to help you choose your perfect pour over coffee maker, tips for getting the best tasting coffee from the machines, and who these types of machines are best suited to! 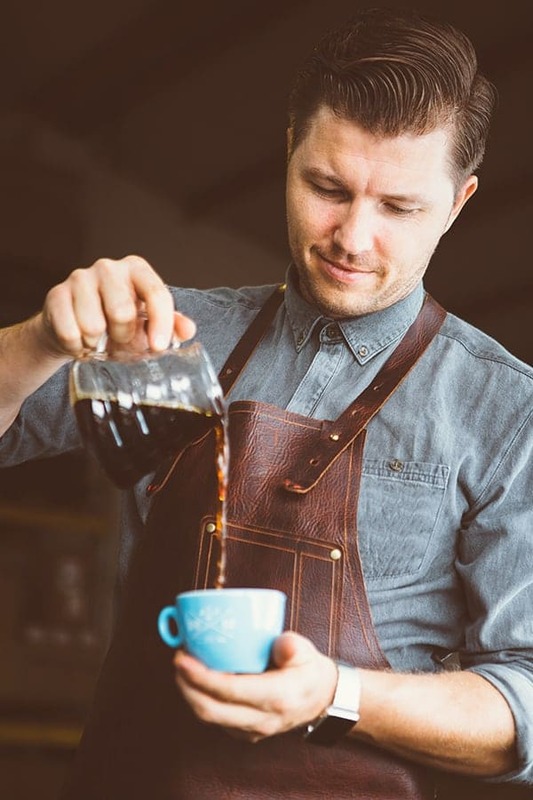 If you are pretty savvy when it comes to brewing coffee, or you don’t mind a trial and error process, choosing a machine that allows you to customise your drink can improve your experience a lot. If you are the only one who drinks coffee, and you only get through a cup or two a day, a single serve is ideal for you. If you have a few coffee drinkers in the home, or entertain regularly, a multi serve may be best suited to you to reduce the time it takes to make each cup. Filter papers can become expensive over time, and of course it’s one more waste product to justify. However, if you like the convenience of making your coffee and dumping the filter rather than having to clean it and reattach it, then paper filters might still be your best choice. The inconvenience of cleaning the filter can have an impact if you drink a lot of coffee. ​Do you have a brand preference? Obviously if you do have a brand or two you love, it will make the process of choosing your pour over coffee maker easier. If you’re willing to think more widely though, you will find that sometimes the cheaper brands do everything your favourite brands do. C﻿﻿heck the reviews before you buy a cheaper brand – you might just be surprised to learn that expensive doesn’t always mean better! The pre-packaged grounds don’t have the depth of flavour and aroma that freshly ground coffee does. It only takes a couple of minutes for the beans to start to lose their flavour. Pre-grinding can be tempting to save time later, but your taste buds will thank you for those extra couple of minutes! As a rule of thumb, the more premium a roast is (usually darker and oilier) the coarser the grind should be, but don’t be afraid to experiment a bit and find your flavor. Who Are Pour Over Coffee Makers the Ideal Choice for? Pour over coffee makers are the ideal choice for anyone who loves the authentic smell and taste of freshly ground coffee in their home. The taste of the coffee beats a pod machine, and they are much easier to use than a barista style drip ﻿coffee machin﻿e. Every coffee loving home should have one! We hope that you have found our guide useful and you now have a much clearer idea of the pour over coffee maker that you want to purchase next. What are 2018's Best French Press Coffee Makers? It would have been helpful if you discussed the suggested amount of coffee to use. Will update the article soon!